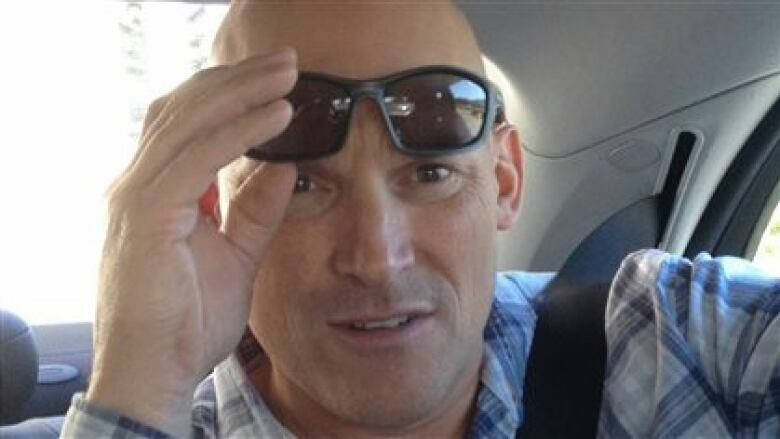 Former Canadian national ski coach Bertrand Charest, who was convicted of 37 charges related to the sexual assault of some young athletes, has been sentenced to 12 years in prison in a Saint-Jérôme, Que., court. Former Canadian national ski coach Bertrand Charest, who was convicted of 37 charges related to the sexual assault of some young athletes, was sentenced Friday morning to 12 years in prison in a Saint-Jérôme, Que., court. Minus time served, seven years and 10 months remain in his sentence. Quebec court Judge Sylvain Lépine said Charest "did not and does not recognize the gravity or consequences of his actions." Charest, 52, was found guilty of charges including sexual assault and sexual exploitation for the abuse of athletes he coached between 1991 and 1998 in June. The nine victims who came forward were girls and young women between ages 12 and 18 at the time of the offences. Speaking to the victims, some of whom were in the audience today, Lépine said what they went through was "unimaginable." He applauded them for having the courage to come forward and speak about what happened to them, given what they experienced. Lépine went through the turmoil Charest caused in the life of his victims: loss of trust, suicidal thoughts, intense stress, problems with intimacy, eating problems and more. Wearing a black zip-up hoodie while standing in the prisoner's box, Charest listened attentively to the judge, showing no emotion. He occasionally glanced at the people in the audience. Lépine said Charest showed little realization of the impact of his actions, at one point telling a psychologist he would have preferred to have his trial in 1998, when sexual assault wasn't as understood. "His actions are not acceptable in 2017, in 1998 or ever," Lépine said. Lépine did not hold back when speaking of the failures of Alpine Canada in protecting its skiers. He said the organization chose to close its eyes to what the athletes were saying about Charest and failed in its role as protector. Lépine said there was no safety net in place to deal with the situations the skiers found themselves in. Charest worked with Alpine Canada's women's development team between 1996 and 1998. The organization offered its profound apologies to the victims in a statement. "Today, after a long and very difficult time for the victims and families, Bertrand Charest was sentenced to 12 years in prison, for things that he did over 20 years ago," the chair of the board of Alpine Canada Martha Hall Findlay wrote..
"But at the time, instead of being there for the athletes, instead of providing support when these activities were discovered, Alpine Canada put itself first, not the victims. In doing so, Alpine Canada failed them. More than 20 years on, I want to say, personally and on behalf of Alpine Canada, that we are profoundly sorry." The statement goes on to thank the victims for speaking out and credits them for helping change the policies and procedures within the organization. Charest was facing a maximum sentence of 14 years in prison. Defence lawyer Antonio Cabral asked for a lighter sentence of between four and six years because his client has no criminal record and has not reoffended, but said Friday that he respects the judge's decision. "He thought it was what was deserved. Now we are going to evaluate the decisions behind it," Cabral said. In response to the judge saying Charest showed no remorse, Cabral said his client was being cautious about what he said given they are appealing his conviction. "You have to understand ... Since the moment we went on appeal, Mr. Charest was holding back thoughts given that we were on appeal and he couldn't be totally open during the evaluations," Cabral said. Charest has asked for a conditional release until his appeal application can be heard, citing that the risk of his fleeing or posing a danger to society is low. He has been detained since his arrest in March 2015. The Crown had sought a 12-year sentence, arguing it is appropriate given the number of victims, their ages and the fact that he got a 15-year-old girl pregnant, leading to her getting an abortion. Prosecutor Caroline Lafleur said Lépine's sentence is representative of the severity of the crimes. "The importance of the consequences and the authority that he had on the girls and the consequences that the crimes had on them was one of the most important things that he took into consideration," she said.